If you want to apply for tickets please e-mail us at contact@lfcvancouver.net. We can request a maximum 2 tickets per game and cannot ask for anything extra. The deadline is 2pm BC time on Sunday October 14. Any ticket requests after this deadline will not be responded to. All tickets must be used by a current member of LFC Vancouver that lives in the Lower Mainland. Home premier league games only. Everyone who gets a ticket must have a full, light or Mighty Red membership card from LFC for the 2018-19 season. All requests cannot be guaranteed so don’t go booking flights and then getting upset if LFC do not allocate you any tickets. Dates and times of matches are always subject to change for fixture clashes or tv schedules. We will hold a ballot if we get multiple requests for games as we only get 2 tickets per game. In addition, the 2019 Supporters Club black tie dinner will be held the weekend of the Huddersfield game. Let us know if you also want complimentary tickets for that. The dinner is always held at Anfield with former players in attendance. This year 2 of our members went and enjoyed the company of Sami Hyypia and Robbie Fowler. Thanks to everyone who made Sunday such a fantastic day, regardless of the heartbreaking ending to the match itself. LFC Vancouver filled 2 pubs with over 350 Liverpool supporters which was absolutely incredible. Many thanks to everyone who created an unforgettable atmosphere and brought along their singing voices. Huge thanks go to all of the staff from both The Butcher and Bullock and The Blackbird who helped make it such a successful event. The servers worked really hard and were absolutely brilliant with the pub so packed full of raucous Liverpool fans. The management team also did fantastic a job helping with making everything run smoothly from the priority entry to the rest of the day itself. A special mention also goes out to Mark Cannon who arranged a raffle during the game and raised $650.00 for Jamie Carragher’s 23 Foundation. 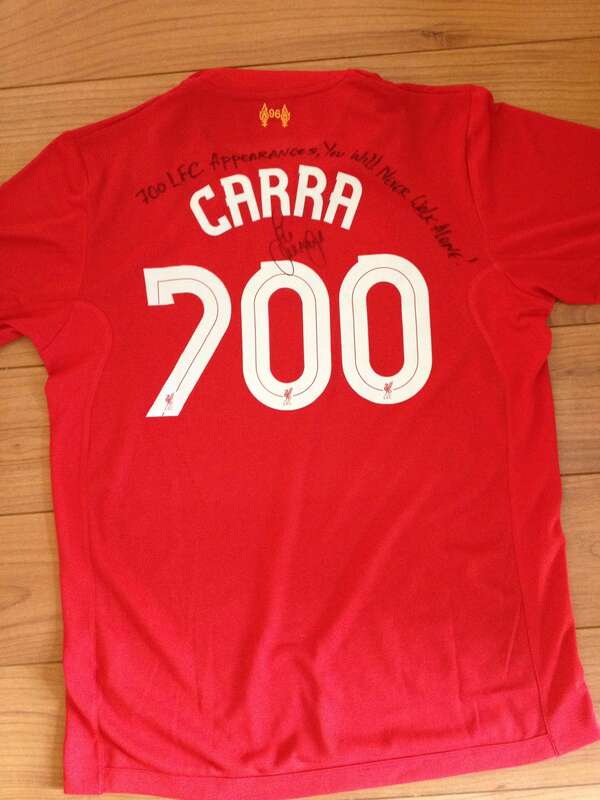 Congratulations to all the winners of some great signed items. Let’s hope we can do all of this again in May for the Europa League final! As the Marketing Director of Donnelly Group and the liaison to LFC Vancouver and the Butcher & Bullock, I have been selected to arbitrate the new election process and the Annual General Meeting (AGM) for LFC Vancouver this season. As you may or may not know, official recognition of a supporters club requires clubs to adhere to a set of transparency and organizational protocols, including an elected committee, and an annual AGM. In the past the club has held a loose adherence to these policies, but moving forward we will begin to align ourselves with the official rules. 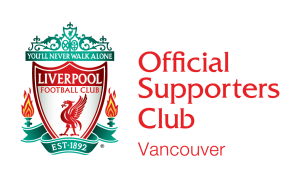 In order to be eligible to vote, you must have a paid membership to LFC Vancouver for the 2015/2016 season. Anyone who attended the Neil Mellor night had this membership included in their ticket purchase. For anyone else, the cost is $10 and membership can be purchased from the LFC Vancouver online store via PayPal, or from Committee members at the Butcher and Bullock pub. (1) If you wish to be part of the committee you must be nominated by two members in good standing, you may nominate yourself as one vote. Nomination MUST be sent to dh@donnellygroup.ca. If you have sent in a nomination and HAVE NOT received confirmation from me, please forward again immediately. (2) Voting will take place at the AGM – being help on September 12th immediately following the LFC match v Manchester United – approx 11:45am. (3) At the AGM, nominated parties will be announced, and will have an opportunity to speak about their contribution, then ballots will be issued and cast. These ballots will be counted by members of the Butcher & Bullock staff, and posted on the LFC website with corresponding minutes. (4) If you are unable to attend the AGM, you may vote in absentia. Please email me at dh@donellygroup.ca, you will be notified of the candidates in conjunction with the announcement at the AGM, and you will have 5 days to submit your vote to me via email – votes must be received by the end of the day on Wednesday 16th September 2015. The winners will be announced as soon as all of the pre-arranged absentee ballots have been counted – this may happen before the 5 day time limit, if all ballots have been received. We need to follow the new official supporters club rules set forth by Liverpool FC. A new committee must be elected, democratically by LFC Vancouver members, and an AGM (Annual General Meeting) must be held. The election and AGM will take place the morning of Saturday, September 12th, 2015, when we play Manchester United at 9:30am. According to the rules, our committee must include the following positions: Chairman (formerly known as President), Treasurer and Secretary. To be eligible for a role on the committee Liverpool FC requires you to hold a current Liverpool FC Official Membership. If you wish to be considered for one of these roles but do not currently have a membership or your membership has lapsed you can purchase / renew by September 5th. If you want to be considered for any position or you wish to nominate someone for a role on the committee please send an email to: dh@donnellygroup.ca. Damon of the Donnelly Group will be arbitrating the election and no member of LFC Vancouver will be influencing the vote. All entries must be submitted by 6:00pm on September 5th. Prior to the commencement of and during the game on September 12th the Management of The Butcher and Bullock will hand out voting slips. Votes must be placed by 11:00am as they will be tallied at the end of the game. The new committee will be announced immediately. The AGM, which all members of the club are invited to participate in, will be held after the new committee has been announced. Questions or feedback on all matters related to LFC Vancouver or The Butcher and Bullock are welcome. The duties of all 3 roles are organic and can change or evolve at any time. The committee formed on September 12th can discuss allocation of duties at that time. At the time of writing we may not have a committee on September 12 because we have only had 2 people nominate themselves as secretary and treasurer. We do not have anyone being nominated for the role of Chairman. If people do not come forward then I will continue on temporarily to ensure that anything important gets done and we will start this process again a month later as a committee has to be elected by the members and in order for there to be a vote we need at least 2 people being nominated for each person. 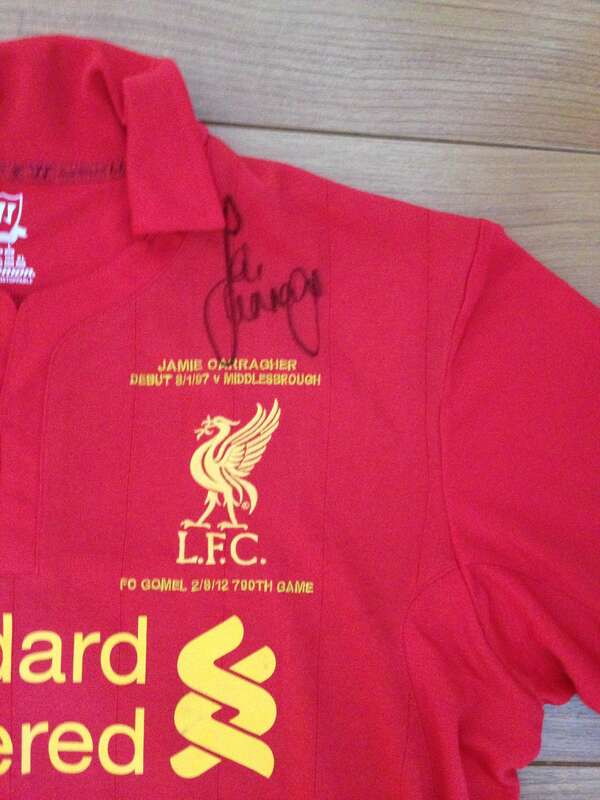 Here are a few of the prizes you can win if you attend the Sportsman’s Dinner with Ronnie Whelan on June 22. All money raised by these items will go to charity. 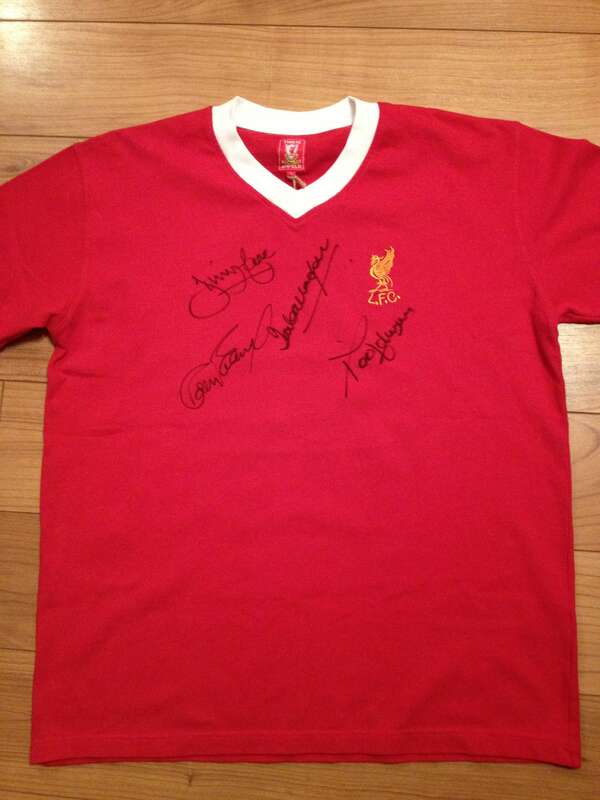 A 1970’s home shirt signed by LFC legends – Roy Evans, Ian Callaghan, Jimmy Case & David Johnson. I had this signed in person by the lads.